There is ample parking space close by and the nearest railway station is Hayes which is less than 1 minute away. If you are travelling by bus, we are on these bus routes 119, 138, 246, 314, & 353 from Bromley, Croydon and Addington Village. 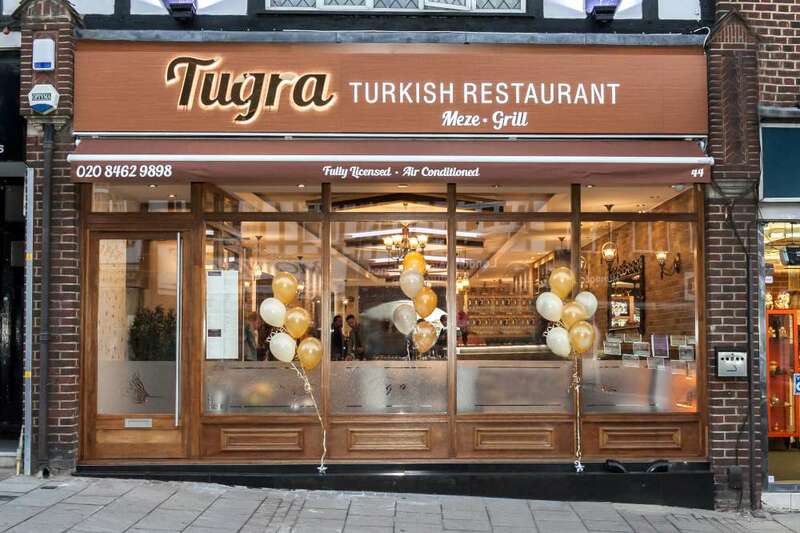 © 2019 by Tugra Restaurant. All rights reserved. Please complete this form to request a reservation, if your request is within 24 hours though please can you call us on 020 8462 9898. Please note: Bookings on a Friday & Saturday that are made between 6 and 6.30pm, the table will be available for a maximum of 2 hours. Whilst we will always try to accommodate every request, we cannot guarantee any bookings via this form. Ask your waiter about our loyalty card and see how you can save each time you visit. To find out about the availability of our private lounge contact our Creative Team on 020 8462 9898 or fill out the form below.